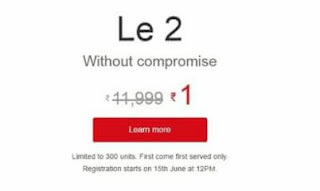 After OnePlus VR Headset Now its Time For Le Eco. Le Eco Going to Release Le 2 as a Promotional purpose they are Giving Le2 Smartphone at Just Rs.1 For First 300 Users! Registration Starts on June 15 th at 12 PM. • Update or select shipping details. Note:- Only For First 300 Users. - This offer is only available to residents of India of theage of 18 years or over. 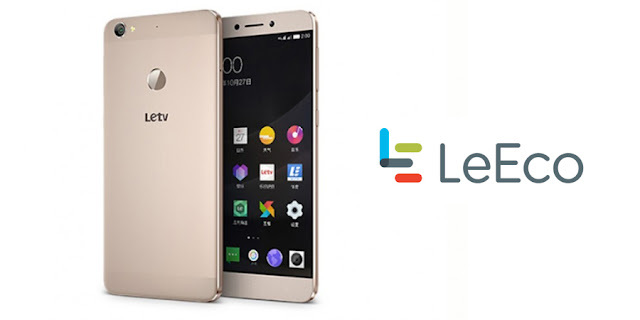 - This offer cannot be clubbedwith other sales, promotions, discounts, coupons and/or promotions offered by LeEco. - This offer is valid till stocks last and the devices will be available for purchase on the Website (optional: insert link) during such period as is communicated to you from time to time through emails/other notifications. - Only one device is permitted per customer under this offer. - LeEco reserves the absolute right to modify or withdraw this offer at any time and its decision shall be final and binding.